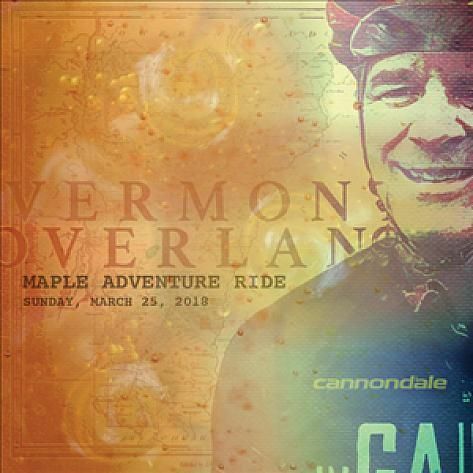 Vermont Overland Maple Adventure Ride! An incredibly scenic gravel road circumnavigation of the Ascutney Basin area of Vermont area featuring a tucked-away, destination sugarhouse at full boil. Climby, narrow, beautiful rural dirt roads with our trademark “Vermont Pave” sectors (unmaintained town roads). Depending on the weather, the road conditions could range from frozen solid with sand spread on them to all-out mud season! The beauty of this circuit is that, if at any time you feel like calling it a day, you can simply turn and head back to the start/finish. Either way and any way, this ride will be an amazing and challenging adventure! Race-day registration fee is $50.